The Jaspal Atwal affair isn't sitting well with the opposition. OTTAWA — A Conservative bid for an emergency meeting on the Jaspal Atwal affair has fizzled, but political fireworks erupted anew Monday in Parliament over Prime Minister Justin Trudeau's much-maligned trip to India. The party's public safety critic, Pierre Paul-Hus, had wanted the House of Commons committee on national security to meet urgently about the Privy Council Office's screening practices after Atwal — a B.C. man convicted of attempted murder — wound up at a prime ministerial event in India. Committee chairman John McKay said in an interview that Paul-Hus did not receive the required notices of support from at least four MPs to initiate an emergency meeting. Atwal was convicted of attempting to kill Indian cabinet minister Malkiat Singh Sidhu on Vancouver Island in 1986. He was also charged, but not convicted, in connection with a 1985 attack on Ujjal Dosanjh, a staunch opponent of the Sikh separatist movement, who later became B.C. premier and a federal Liberal cabinet minister. Despite Trudeau's absence from the Commons, the Conservatives and the NDP pressed on during question period, accusing the Prime Minister's Office of organizing a briefing for travelling journalists in India last week that appeared to criticize the conduct of the Indian government in the affair. In that briefing, a government official — speaking from Ottawa to the travelling media contingent on the condition of anonymity — suggested Atwal's presence had been engineered by elements within the Indian government, driven by concerns that Canada is not fully committed to a united India. The suggestion has been made that Atwal's presence was arranged by factions within the Indian government who refuse to believe there is no risk posed to a united India by Sikh separatists living abroad, said the official. 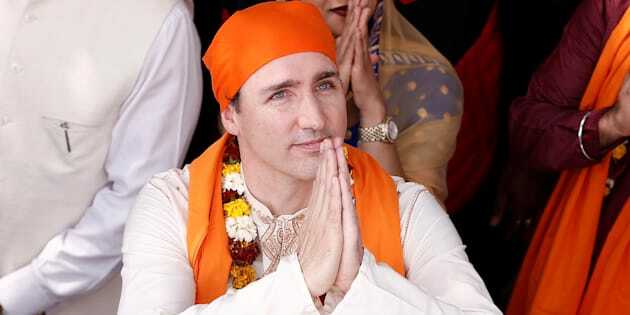 The factions wanted to undermine the Canadian tour to India to prevent the government of Prime Minister Narendra Modi from getting too cosy to foreign governments they believe want to undermine a united India, he said. Conservative MPs Erin O'Toole and Peter Kent pressed for answers, but he was not in the House of Commons on Monday, leaving Public Safety Minister Ralph Goodale to answer. "The Prime Minister's Office trotted out the national security adviser to come up with a conspiracy campaign with respect to the trip," said Conservative MP Erin O'Toole. All of Canada's security agencies did their jobs properly and served the Canadian national interest, replied Public Safety Minister Ralph Goodale. O'Toole's colleague Peter Kent pressed for more details about the briefing. "Does the prime minister have any evidence at all of this conspiracy theory, or was this tale concocted to protect the prime minister's political interest?" Kent asked. Goodale's terse response: "The honourable gentleman is wrong." In an interview Sunday, Trudeau's spokesman Cameron Ahmad said the PMO never tried to advance the theory that came out of the briefing. The anonymous official who briefed journalists was "someone who is familiar with security protocols and national security in the Canadian government" and who provides independent advice, said Ahmad. "It is false what people have alleged, that this was somehow politically driven," Ahmad said. The Indian High Commission in Ottawa did not immediately respond to a request for comment Monday.